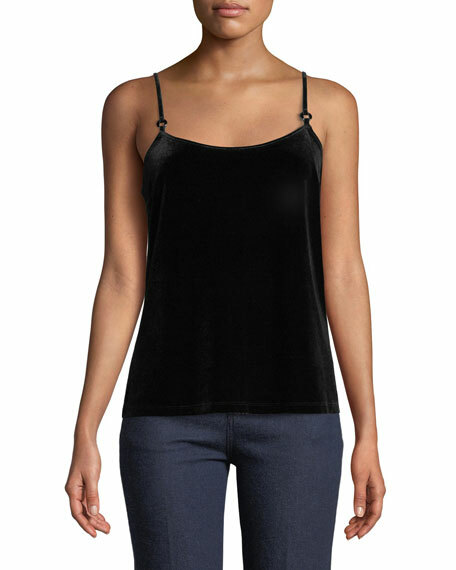 Elie Tahari "Bianca" cami top in velvet. Thin, adjustable shoulder straps with ring detail at front. For in-store inquiries, use sku #2654772.